CRAZY COOL GROOVY!!! 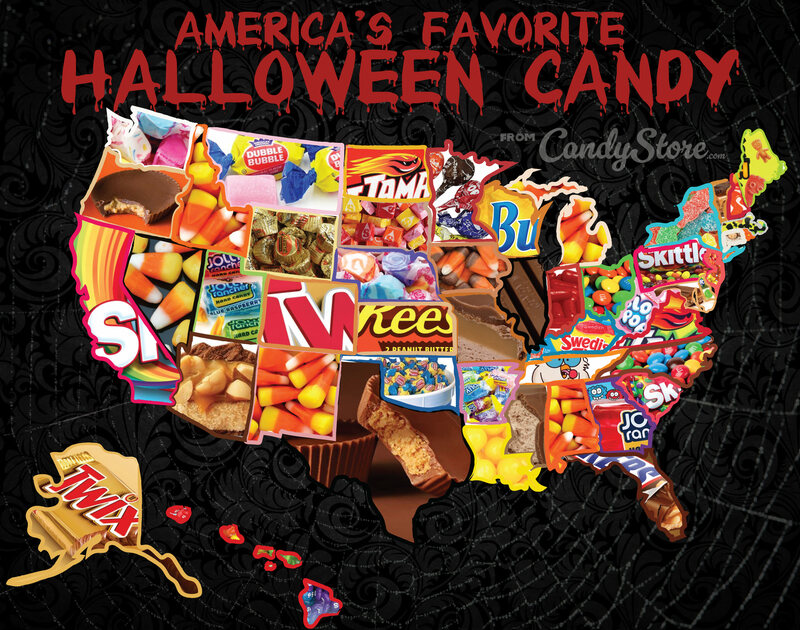 : I LOVE 2 EAT #213 - TOP HALLOWEEN CANDY In EVERY STATE in The U.S.!!! I LOVE 2 EAT #213 - TOP HALLOWEEN CANDY In EVERY STATE in The U.S.!!! Are all of you GHOULS, GHOSTS, and GOBLINS ready for HALLOWEEN 2018?!?!? Have you began making your plans to get on down to your local candy store to make your selections of goodies to be distributed to the neighborhood kids??? For years, CANDY STORE has been one of the largest inline bulk candy retailers in the United States, and for the past 10 years has also been engrossed in data analysis to determine AMERICA'S FAVORITE HALLOWEEN CANDY In EVERY STATE of the UNITED STATES. NEWSWEEK Magazine took a peek inside the CANDY STORE studies to reveal come startling statistics on MOST POPULAR HALLOWEEN CANDY In EVERY STATE in The UNITED STATES.